Danny Abosch is a composer/lyricist whose musicals include Goosebumps The Musical (upcoming World Premiere at First Stage and Oregon Children’s Theatre, October 2016), Fancy Nancy The Musical (Off-Broadway 2012-2014, National Tour 2013-2015, Cast Recording available on Ghostlight Records), Placebo (winner of the 2012 PMTP Development Award, fully produced workshop at the Pasadena Playhouse directed by Ryan Scott Oliver, additional workshops at the University of Michigan, Oklahoma City University, Emerson College, and Pace University), Off The Wall (First Prize winner of NMI’s 2014 Search for New Musicals, 2015 workshop and concert in Los Angeles), and Miles & Me (2014 workshop at the Musical Theatre Factory in NYC). Originally from Deerfield, IL, Danny is a graduate of the University of Michigan (B.M. in Music Education), and of NYU’s M.F.A. Graduate Musical Theatre Writing Program. Danny studied musical theatre writing as one of twelve participants in the Johnny Mercer Songwriter’s Project at Northwestern University, where he worked closely with Broadway composers Lin-Manuel Miranda and Craig Carnelia. Three of Danny’s songs have been chosen by William Finn for his concert series “Songs By Ridiculously Talented Composers and Lyricists You Probably Don’t Know, But Should”. Danny was a founding member of the Musical Theatre Factory where he also served as its first Managing Director and co-created the acclaimed New Orchestrations series. Danny’s music has been featured on the TV shows “Dance Moms” and “Last Call With Carson Daly” as well as in the films “Waiting in the Wings” and “Missed Connections”. 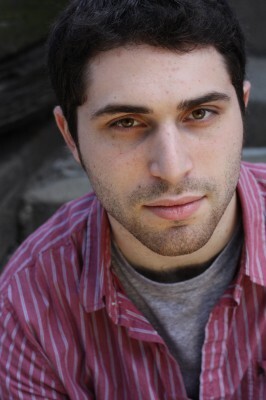 Danny lives in New York City and is currently working on an exciting new musical adaptation, to be announced soon.